ECA Stack Formula | Information on the fat burning stack. Information on the fat burning stack. The bodybuilding supplement industry regularly advertises all kinds of stuff that is supposed to help you lose weight by burning fat. I’ve seen all kinds of junk advertised over the last twenty or thirty years since I have been a student of bodybuilding and diet. Most of the stuff being sold will not help you lose fat but it will “slim” down your wallet. But occasionally I did run across some decent information. One time back in the early 90’s I learned how to make an ECA stack. I bought a new bodybuilding magazine that was honest about steroids and other drugs that these athletes used. They described a fat burning supplement that could be made very cheaply. I went to the local health food store to try to find the ingredients. I was surprised to learn that I was in the wrong place–all I needed to do was go to the local convenience store. I bought all I needed and I was amazed at the result. I had energy and my appetite was completely gone–I could go most of the day without feeling the least bit hungry. From that day until now the ECA stack has been one of my “secret weapons” when I need to lose fat. What is the formula? It is pretty easy: 20 milligrams of ephedrine, 200 milligrams of caffeine, and (maybe) a small dose of aspirin. 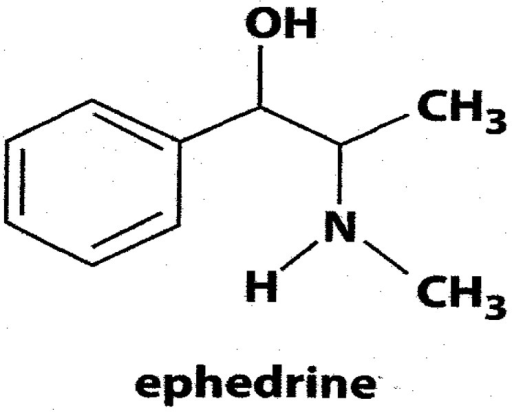 The ephedrine and caffeine work together synergistically to stimulate beta-receptor sites. This does many things to the body–the main thing being the before-mentioned appetite suppression. But it also slightly increases the heat production, which will burn more calories and in turn help offset metabolic slowdown caused by dieting. When you combine both of these things you have an excellent physiological environment for burning fat. The role of aspirin in this formula is not quite as established. Some of the early research with the ECA stack used severely obese patients and those people benefitted from aspirin. It supposedly helps by thinning the blood and decreasing the body’s natural resistance to the stimulant effects of the ephedrine/caffeine combination. But most trainees who are not severely obese probably do not need it. The most difficult thing now about using this fat burner is finding ephedrine. Years ago you could just walk into a convenience store and buy it. Now laws are so strict that it is much harder to find. It largely depends on what state you live in. You may find that the sulfate version of this drug is available and it works about as well as the hydrochloride version (according to people who have used both). Usually Bronkaid is the brand name that people ask for and buy at drug stores. You should check the laws in your area and see what you are allowed to purchase. Just keep in mind that the stack only works in combination with a good diet. Your body will not use fat for fuel unless you are controlling your diet and taking in fewer calories than you are using through exercise and your everyday activities.